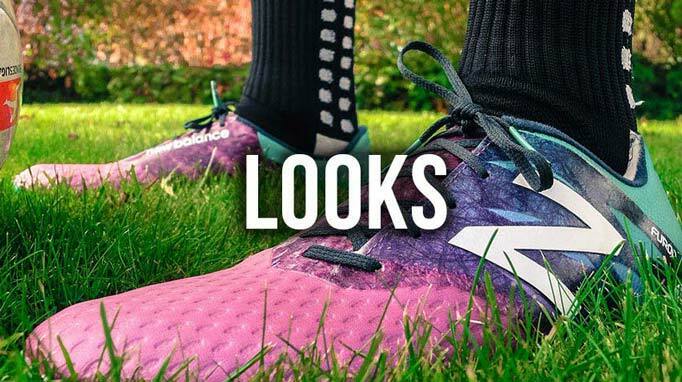 Thinking of buying the latest New Balance Furon boots? Check out our FOOTY.COM review to see if they’re the right choice for you. 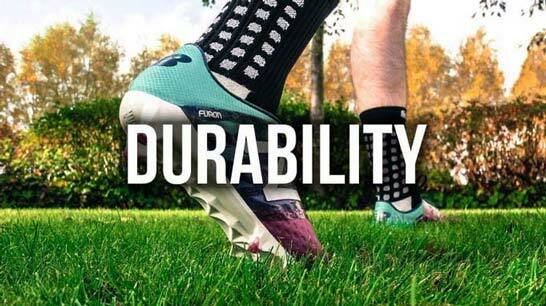 New Balance are the freshest brand on the footballing market, with players such as Aaron Ramsey, Adnan Januzaj, Vincent Kompany amongst their ambassador's, we are going to take a look at one of their boots, the Furon which is made to "take chances". A lot of people have been wondering just how good these boots are and how they will perform out there on the pitch. With such a new brands to the football market we felt it was time to really give them a good go and see how they perform against the big boys. 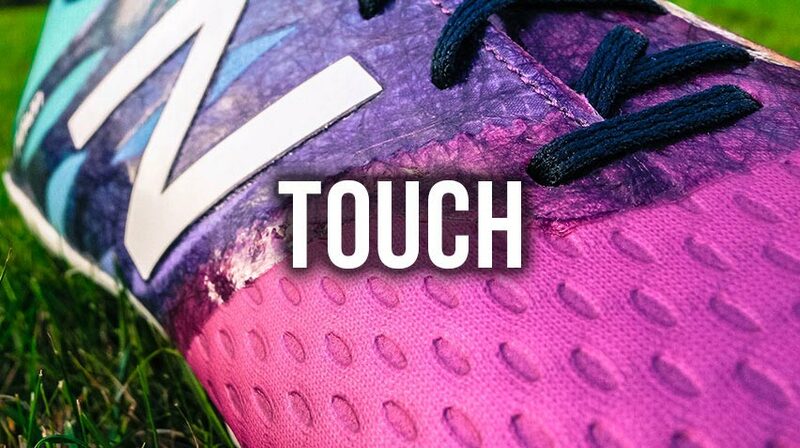 New Balance really have pushed the boat in a different direction with the Furon, it is something different and they really should be applauded for it. The Purple/Green colourway is not to everyones taste but it has certainly received a number of compliments in the FOOTY.COM offices. Since the first colourway their has been Black/Orange, White/red, blackout and whiteout packs. All of which have really grabbed people's attention. The almost split design of the upper has really worked well for us, New Balance have done a solid job here. The first thing we noticed is the fit, usually an 8UK fits well, but it was very tight in the Furon. We recommend going up half a size to be safe. 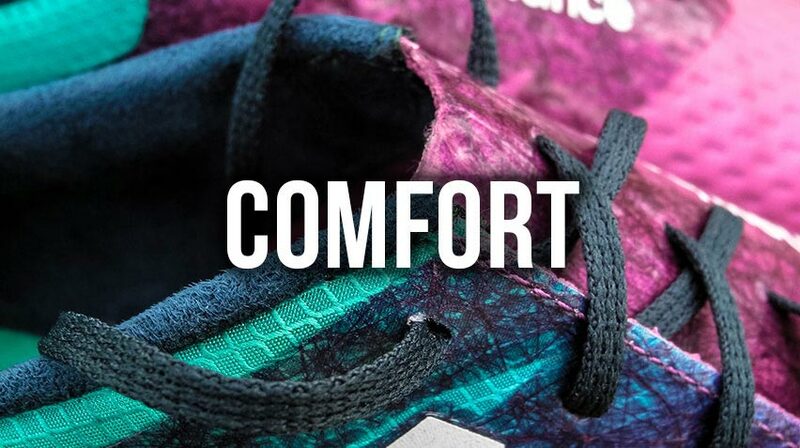 The soleplate on the furon has been stiffened for "exceptional energy return and unparalleled acceleration", this isn't a problem as such as there is still a good level of comfort to be had. The upper is made from a mix of a "pro-form last" which in our opinion, is almost a New Balance version of the primeknit all be it, no where near as malleable. The "Burrito tongue", that almost wraps around your foot is a throwback to something like the old Nike T90's, no moving tongue here and a large "sweet spot" area for striking the ball. However initially this burrito tongue did seem to dig into our ankle for the first 30 minutes or so, after this it became more flexible and hardly noticeable. Overall, the Furon is probably more suited to a very narrow foot, there is a breaking in period but it shouldn't take that long to get them moulded to your feet. In terms of touch and shooting, the Furon has been made to "Take Chances" and we did feel this way. First time finishing and shooting felt crisp and clean where as passing left us with a few niggles. The Furon does seem to be geared towards speed, dribbling and fast touches (I'm talking to you pacey wingers and strikers). If you are taking on a defender the Furon seems to work wonders and slotting it home reminded us of a vapor in a way. If you are a player who enjoys a bit more of passing then these may take some getting used too. 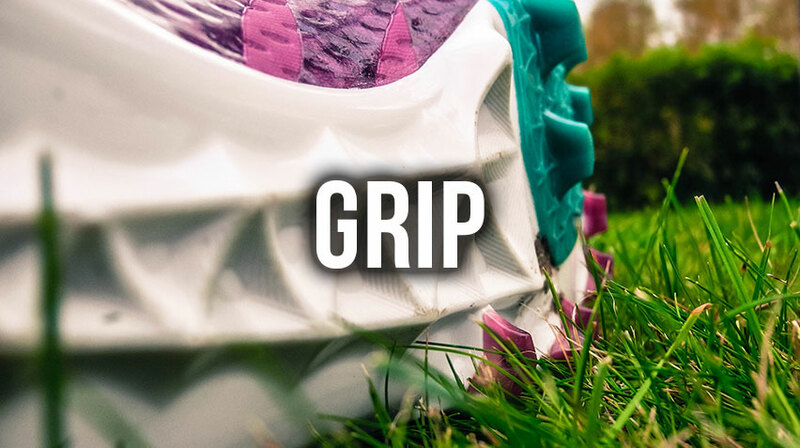 As we mentioned, the soleplate on the furon has been stiffened for "exceptional energy return and unparalleled acceleration", when it's first on your foot you are not sure what to think, then you try a few sprints and you realise why it is like this. You feel almost propelled forward due to that extra strong spine, you feel faster because you're acceleration is enhanced somewhat. During some cone tests and shuttles we didn't notice any issues, it is a comfortable boot for turning and changing direction. Thumbs up from us! When you open the box and get your hands on them, you do notice that they do feel very sturdy and well put together. During our testing we found no signs of stress or even wearing, apart from the occasional scuff. We would be tempted to say these boots could last you a season or longer if you treat them well (You should always treat your boots well). In terms of how we felt in these, they are a boot that will grow on you. From the moment you put them on it takes a little getting used too but they really do get better with wear. While some people will understandably be hesitant to try a new brand to the market, you are sure to be surprised by these. If you can't afford the £200+ price tag of the likes Adidas and Nike are charging, then the very competitive price will have hands hovering over the buy it now button. If you're looking for a vapor or evoSPEED alternative, look no further. 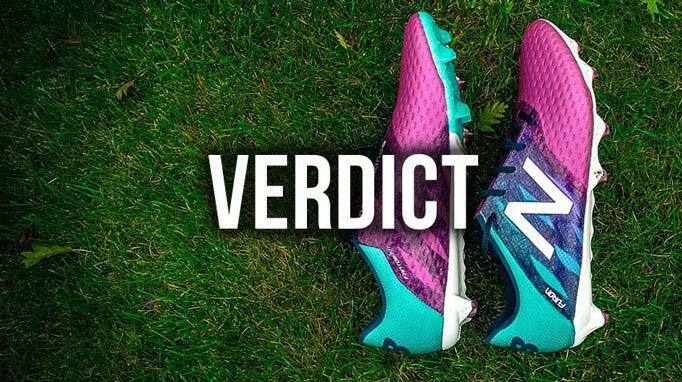 Here ends our review of the New Balance Furon, what do you think of these? Let us know in the comments below!